Why Hillary Clinton must pick Bernie Sanders as VP. I always try to refrain from posting anything too politically partisan on this blog, but this is too important not to talk about, so I’m breaking my rule here. I don’t like Hillary Clinton. I was and am a Bernie Sanders supporter. Like Bernie, I’m not afraid to admit my political leanings are “democratic socialist.” There’s nothing wrong with the S word in my book. Right wing conservatives have twisted its meaning into something resembling Communism, which it is not. “Democratic socialism” is the dominant ideology in Canada and western and central Europe. One of our greatest presidents, Franklin D. Roosevelt, was also a democratic socialist, and lifted this country out of the Depression and indeed, “made America great again.” I always wondered what was so great about the crass narcissism capitalism that’s been taking over America like a cancer for the past 3-4 decades and stealing from the poor and middle class to provide welfare to big corporations and the wealthy. But anyway, I’m not going to get into that any further here. Like many non-conservatives (I hesitate to call myself a “Democrat,” because in recent years, the party has come to stand for nothing at all except maybe watered down conservatism), I’m tempted to sit out this election, because of my personal feelings about Ms. Clinton. But if everyone does that, Trump will win by default! That’s a scary, scary prospect for reasons many of you are already aware of. The man is a sociopathic, xenophobic, malignant narcissist. Even mental health professionals point to him as a poster boy for severe NPD. The prospect of him becoming our next president is truly frightening. 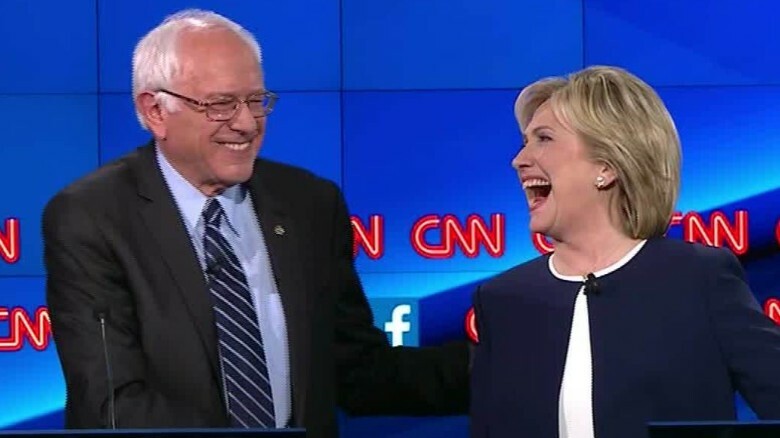 If Hillary doesn’t choose Bernie as her running mate, a lot of liberals are once again going to not bother voting–and write in their votes for Bernie, if they do anything. Bernie came out of nowhere and became incredibly popular among Millennials in particular, who were (and still are!) almost rabid in their support of him. Whether you agree with Bernie’s agenda or not, his motives seem honest and he knew how to use social media (especially Twitter) to his advantage, attracting the younger generation, who are this country’s future. What do you think? Let’s talk politics. This entry was posted in politics, presidential election 2016 and tagged 2016 presidential election, Bernie Sanders, Donald Trump, Hillary Clinton, liberal politics, Millennials by luckyotter. Bookmark the permalink. I found this Presendential Race to be one of the most entertaining one yet in such a long time. But sadly, the candidates that are running seemed to be unsuitable for the majority of the people in the country. It seems that America have a tough choice in deciding who they want to be President. They do, I also agree this has been an entertaining race, with several big personalities and a lot of drama! It’s going to be a nailbiter. Hopefully we don’t wind up with the sociopath. Yikes. I would be happy to vote for a Clinton-Sanders ticket. But I doubt that Bernie would agree to run with Hillary. Clinton-Warren sounds pretty good. Warren has lost a lot of credibility in the Bernie camp because of her willingness to run with Hillary. I think that’s foolish. Warren has had good politics all along. That she would compromise by running with Hillary is no deal-breaker with me. I don’t think Bernie’s politics are impeccable either. Nobody with perfect politics (according to my standards) could win the election. So voting for a major candidate is a compromise for me already. I don’t understand people who won’t make that compromise since no revolution is imminent. Anyway, Bernie hasn’t given up on the nomination so I won’t either. Go Bernie! Hey, if nothing else, he has redeemed the “S” word. Of course Bernie isn’t perfect (who is? ), but I admire him for his principles and fearlessness. I think he’s sincere. I trust him. Warren is fine, but I still think a lot of people (esp. Millennials) won’t bother voting unless Sanders is in there. I fear you may be correct. Time will tell. This year’s elections are especially interesting and are causing me to have greater anxiety than what I normally experience every four years!